Any individual of the Judging Committee must remove himself from the immediate judging area during the screening of any plant or flower in which he/she may have any present or prospective ownership. All plants or flower spikes for judging must be presented at the judging room no later than one hour before the regular meeting of the Society. Each exhibitor must take out his own entry form (without showing any entry number) stating the name of plant, the cultivar name, parentage, date of entry, and all previous awards received anywhere, and his name and address on the reverse side. All entry blanks must be printed or typed in order to be readable. The name of the exhibitor shall not be in evidence on any entry forms and all other identifying labels and marks shall be removed. When all entries have been received, exhibitors will be asked to leave and a screening process will take place under the direction of the Judging Chairman or Assistant Judging Chairman and assisted be the Judging Clerk. Each entry will be presented to the Judges while pertinent data are provided about the exhibit before them. A vote of three or more Judges will qualify the entry for point scoring. When six or fewer Judges are present for screening, one vote will qualify the entry. An entry number will then be assigned to the plant. Judges will refrain from the unnecessary discussion of an entry during the screening or point scoring procedures. Three or more Judges will be assigned to point score each plant or flower spike by the Judging Chairman or the Assistant Judging Chairman. The average of the scores will determine the award or failure to achieve an award unless otherwise provided herein. Any Judge may be replaced by the Chairman or Assistant Chairman or Judging if, in his opinion, justice and equity so requires. The Chairman or the Assistant Chairman of Judging must discard a Judge’s score if it is five or more points above or below the average scores of the other Judges on the team. The scores of Associate Judges will not be considered in determining an award. Only members of the Judging Team are permitted to be present in the Judging Room during the actual point scoring and at such other times as the Chairman or Assistant Chairman shall specify. Special guests may be invited to judging sessions as observers. 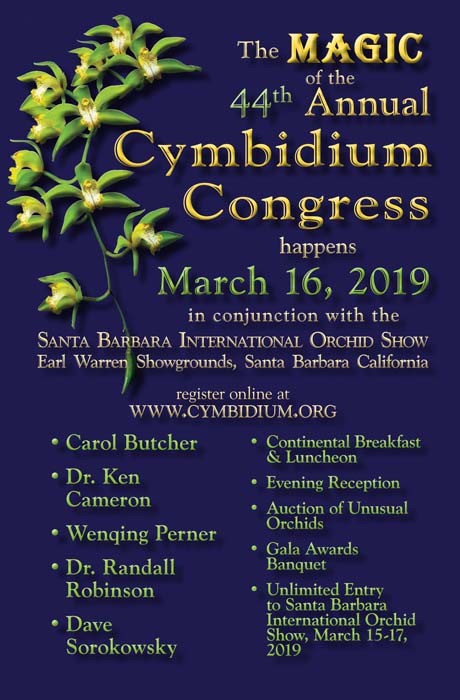 No cymbidium or paphiopedilum shall receive an award with less than 75% of the total points allowable for form of flower, and for color of flower, with each category being separately computed; and each will receive at least the minimum score as established by this Society for the award. Excepted are novelty paphiopedilums, which may receive an award with less that 75% for form. Flowers submitted for judging shall be in show condition, free of cultural or genetic defects, or color breaks, and without insect or fungus damage. Damage suffered in transit immediately prior to judging, if not too extensive, will be tolerated. Borderline cases of show condition will be decided by a majority vote of all Judges present. High standards of quality should always prevail. Mechanically damaged flowers should be shown with the plant when entered. The artificial manipulation of flower parts to deliberately change their conformation shall disqualify the entry. The Judging Chairman, or Assistant Chairman, and two or more Judges shall constitute the committee to determine any infringement of this rule. The width of the flower will be measured on a flattened plane of the flower, at its widest point, edge to edge without adjustment. The width of both sepals and petals will be measured on a flattened plane, adjusted for curvature. Objections of exhibitors shall be addressed only to the Judging Chairman or the Assistant Judging Chairman. The Judging Chairman or the Assistant Judging Chairman may request a Judge or any person to leave the judging area at any time. An award may be granted to an unregistered hybrid, but the award shall be withheld until registration is completed. If registration is not completed within one year, the Awards Committee with the registered name. Each plant that received an award shall bear a cultivar name. 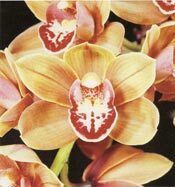 Awards shall be granted only in accordance with the established rules and procedures of the Cymbidium Society of America, Inc.
An entry submitted for award judging may be refused when in the opinion of the Judges present said entry appears to be identical to a clone previously awarded under a different name. A Judge will not leave the judging session unless excused by the Judging Chairman or a Team Captain.